The book begins with an in-depth investigation of the mining laws that emerged in the Colorado territory following the 1859 discovery of gold. Here Schorr sets an impressive tone for the following chapters, as he seamlessly interweaves his legal and historical training in research and analysis. Drawing on ninety-one mining codes from seventy-eight districts, Schorr demonstrates how the principle of equality, modified by the rule of sufficiency, limited mining claims in both size and ownership. And as he shows, this Lockean principle of equal access soon spread from land to water. From Colorado's territorial laws and constitution to the 1882 Coffin decision that etched the young state into legal history, the water monopoly bestowed in common law to riparian lands was consistently undercut and, ultimately, abolished in favor of the broader distribution achieved through the system of prior appropriation (first in time, first in right). 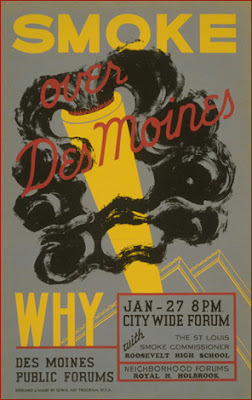 In the final two chapters, Schorr charts how the principle of distributive justice continued to influence Colorado's water laws in the decades that followed; in the process, he squarely challenges the varying interpretations of corporate greed and market efficiency often ascribed to the law of appropriation. 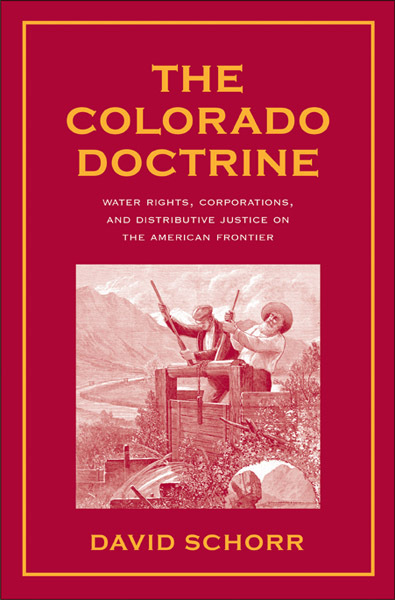 Contrary to Gilded Age stereotypes of corporations running amok in the West, Colorado courts consistently ruled in favor of small farmers and placed heavy restrictions on the size, access, and contracts of irrigation companies. Such efforts of fair distribution, however, did not make for efficient markets—a fact that Schorr details in his chapter on the beneficial use clause and the diminishing productivity inherent in its restriction on water right transfers. A couple of the earlier reviews were covered here and here; Google Scholar has links to a lot more.